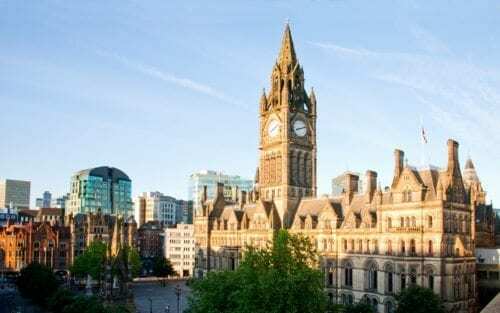 Are you considering a move to Manchester? Or are you leaving the city? Either way, a removal company will manage your move for you, providing assistance with packing and transport. 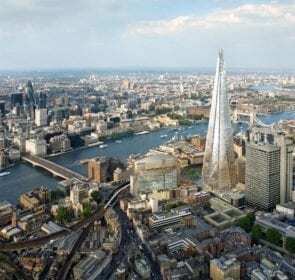 This page will give you information about life in Manchester, the costs of removals in the city, and the benefits of movers. 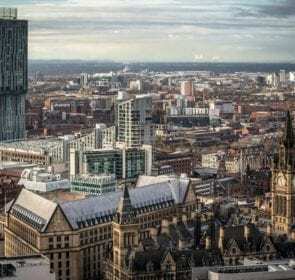 How much does it cost to move to or from Manchester? With the congestion problem in mind, the price of hiring a moving company in Manchester will increase if traffic becomes an issue. It is important to take this possibility into account, along with several other factors. The table below shows the average cost of a move depending on the distance as well as the size of your property. Besides the standard rates charged by removal companies, you will incur extra costs if you request additional services. To avoid receiving any parking fines and incurring unexpected costs, you should apply for a parking permit so that the removal van can park directly in front of your property. This will also expedite the loading process. The fee charged for a parking bay suspension varies depending on your area so check with your local council beforehand. In some cases, the removal company might be able to handle the administrative tasks for a permit at a price. For a more comprehensive look at what you will pay for hiring a moving company, take a look at our dedicated removal costs page. 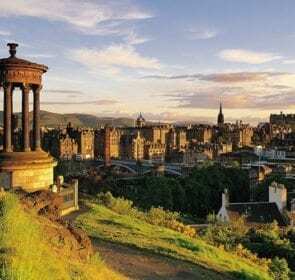 Moving to the “capital of the North” can be a daunting task if you go about it on your own. Why not put some of that burden on a removal company? They will do all the hard work for you so you will truly enjoy what Manchester has to offer. To do this, narrow down the best movers for you by comparing their prices and services. The non-obligation quote request is free, takes 1 minute, and you receive 6 offers from trusted, local companies. Fill in the form below and have an easy move to Manchester. Manchester is often thought to be the capital of Northern England. 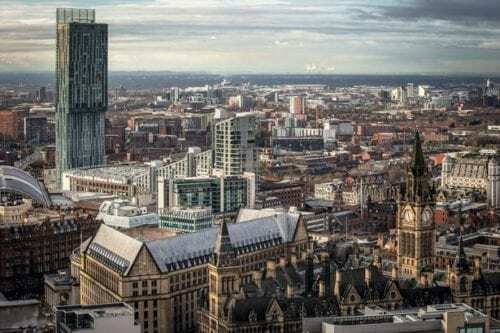 With 2.7 million people living in the Greater Manchester region and an economy valued at £57 billion, it has a strong claim to that title. Starting in the 1990s, a successful rejuvenation push resulted in a transformed city appearance and much improved economy, making it a vibrant place to live. 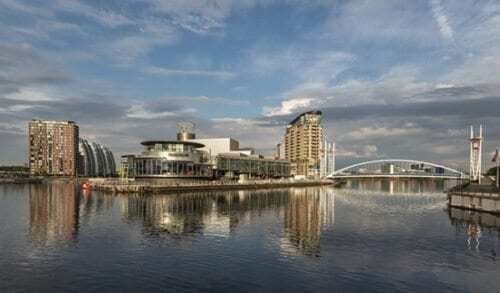 With its thriving nightlife and music scene, incredibly diverse food offerings, and sporting pedigree, Manchester is a popular place to study and work. Situated in the northern region of the UK, Manchester has quite long, cold winters lasting anytime from October to April. Expect snow from November to January and single digit temperatures. However, what the city is notorious for is the rain. It rains on average 929 mm in a year so make sure to bring proper clothing to keep you warm and dry. The transport system in Manchester consists of bus, tram, and a light rail service, and with the price for a monthly pass being £51, navigating the city is easy. This, together with the fact that the city is increasingly becoming bike-friendly, means there are more cost-effective ways of travelling than driving. Heavy traffic is a big problem during the city’s rush hours, so many people opt to use Manchester’s well-developed transport system. One of the first things you should sort out is to inform people, including your local council, about your change of address. This is necessary for determining your council tax rate, so be sure to get this done as soon as possible. You have one free collection of up to 3 items each year. For 4 to 6 items, it is £27. If you already had a collection in the past year, it costs £27 for 3 items, and £54 for 4 to 6 items. Alternatively, certain removal companies offer an extra service to dispose of your items such as old furniture or appliances. Ask your movers about their disposal services. Less stress: The company organises your move for you; you will not have to worry about the complicated task of planning your relocation to Manchester. 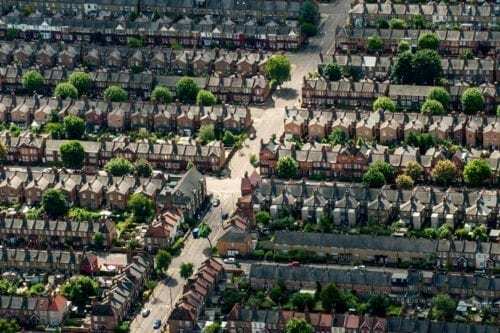 No need to drive: Moving to a new address by yourself means you will have to drive in an unfamiliar neighbourhood. Local companies know the best routes and times to drive, reducing transport time. Peace of mind: With a moving company, your valuables are in safe hands. Additionally, the company will have insurance for your goods in transit so that you know any issues will be covered. Whether you decide to move to Manchester to experience its unique culture, or are looking to move out of the city, make sure you find the removal company that best matches your needs. By comparing price offers from multiple companies, there are potential savings of up to 40%. Make sure to use our free, non-binding request form to receive 6 quotes from local movers.